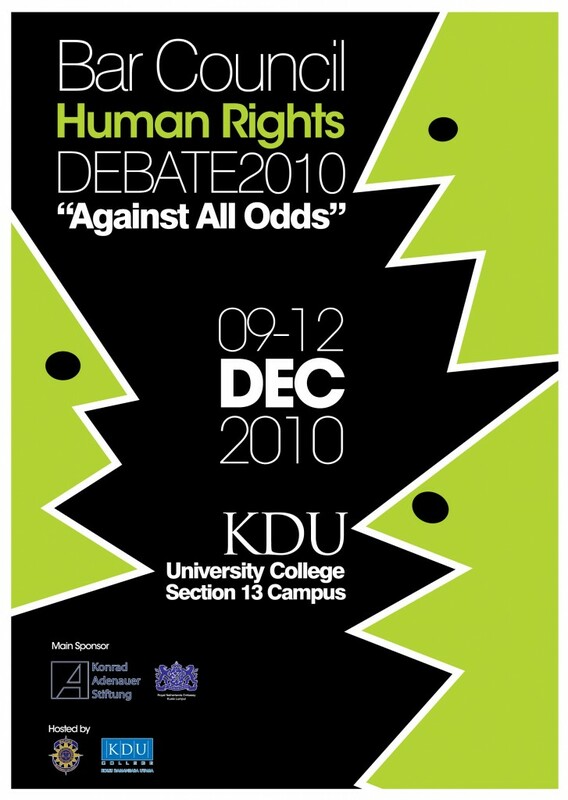 [UPDATED] Human Rights Debate 2010: This Friday to Sunday! Join the Bar Council Human Rights Debate 2010! KDU University College, No. 76 Jln Universiti, PJ. That’s straight after Remember, Review, Reclaim! The Bar Council has received registrations from about 70 debaters from 18 institutions in Malaysia, India, Bangladesh, Philippines and Singapore. [UPDATED] For more info, call Adilah +6.03.2031.3003 ext 160 or surf on over to the Official Debate blog. Posted on 8 December 2010. You can follow any responses to this entry through the RSS 2.0.